More jokes in the hour than minutes spent in your seat. The 2018 UK Pun Championship finalist looks into why wordplay and one-liner gags are so mispunderstood. And when we say ‘looks into’, we mean telling an array of fantastic jokes! 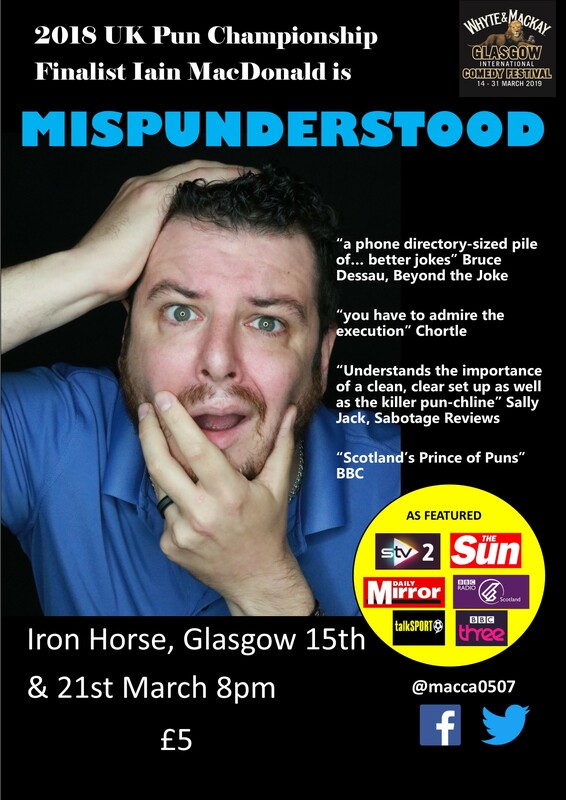 Material featured in The Sun, The Daily Mirror, The Metro, BBC3, STV2, BBC Radio Scotland, TalkSPORT.